From managing the algorithms that aid much of our lives, to developing newer and cleaner forms of renewable energy — technology is among the most fascinating and forward-thinking industries to work in. Technology is evolving rapidly, from artificial intelligence and robotics to data science and cyber security, and the job opportunities open to MBA graduates are vast. 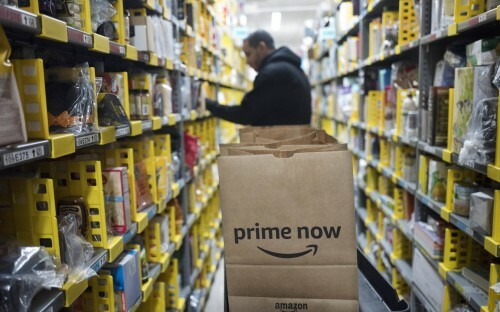 “MBAs have many different opportunities at Amazon, including roles in technical product management, product management and operations, along with rotational programs in retail and finance,” says Miriam Park, director of university programs at the ecommerce giant. “MBAs are very strong problem solvers and analytical thinkers, which makes them a really great leadership pipeline,” she says. “We offer several programs focused on providing MBA hires with the operational and leadership skills to grow as a leader at Amazon”, such as the 36-month Pathways program that develops operations leaders for Amazon’s fulfilment and transportation centers. The technology industry is in desperate need of new hires to fuel its rapid growth. Amazon added 130,000 employees globally last year, 1,000 of whom are MBAs. Startups awash with venture capital are warming to MBAs too — the largest increase in hiring last year came from firms with fewer than 100 employees, according to data from recruitment body MBA CSEA. This means that salaries are high, with many tech companies also offering stock options. Median starting salaries and signing bonuses for MBA graduates at Microsoft are around $160,000 for finance and product managers, according to Transparent Career, which collects self-reported data. Ashley Bienvenu organizes strategic partnerships for Google’s shopping service. She joined the company in San Francisco after getting an MBA from HEC Paris in France. “Google is a very fast-moving place where employees have ownership over their roles and careers. You won’t find micro managers and cookie cutter responsibilities,” she says. What is the best way into the industry? The 12-week internship at Amazon seeds its leadership development programs. “We give interns the opportunity to own projects from day one — we often hear that they’re both surprised and excited about the level of ownership they have,” Miriam says. But some tech businesses prefer only to hire managers with a STEM background — science, technology, engineering or math. “Some companies do prefer that combination of MBA with an engineering or computer science background, so that person can understand the technology and apply their business mind-set to it,” says Phil Han, career advisor at UCLA’s Anderson School of Management. Taking a tech-focused MBA elective is a good option, such as the technology leadership development program at Carnegie Mellon University’s Tepper School of Business. The 15-20 MBA students on the course are schooled on financial technology, mobile applications, the internet of things, robotics and more. “It will help them to move into more senior positions in the tech industry,” says Tim Derdenger, director of the program. Some 15% of Tepper’s MBAs are hired by Amazon, he says, for example. But every single industry is being disrupted or enhanced by technology, so the career opportunities extend far beyond technology companies. For instance, many students are joining fast-growing companies that leverage technology in some way, but in the consumer goods or media industries, says UCLA’s Phil.